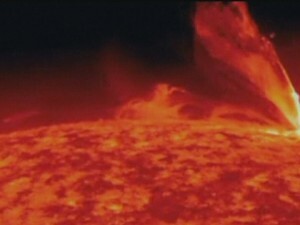 On February 24, 2011 a solar storm reached the earth and caused disruptions to satellites and electronic systems across some areas on the Northern Hemisphere. It lasted for about 90 minutes and was considered as the strongest solar flare that has grazed the earth for the last four years. Solar flares pose threat to earth’s technology and can be a risk to astronauts on spacecrafts. If the flares hit the earth, there is a big threat to infrastructure and global communications. According to scientists more solar flare is expected in the coming years and there is a need for the government to take actions on how to protect assets from this type of danger. What is a solar flare? It is caused by storms on the surface of the sun characterised by large explosions and emission of radiation that can affect the Earth’s atmosphere. This phenomenon was first observed in 1859 and called the Carrington event.